Storm Literary is a boutique literacy agency representing quality children's literature from exceptional authors and illustrators from across the world. You can read more about their work, Rachel Noble - Author and Storm's other wonderful Storm Literary writers here. Independent and family owned, we love books, well-told stories, and illustrations that open up the visual world and deepen a child's sense of story. 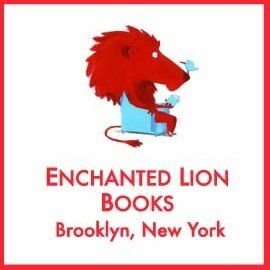 Rachel is excited to be working with Enchanted Lion Books on her first picture book, Finn's Feather, due out in late 2017. 12 x 12 is a year-long writing challenge where members aim to write 12 complete picture book drafts, one per month, for each 12 months of the year. Rachel is a member of 12x12, and recently featured on founder Julie Hedund's blog. The Society of Children’s Book Writers and Illustrators is the only professional organisation for author and illustrators of children and young adults. The non-profit organisation assists those working in the fields of children’s literature, magazines, film, television and multimedia. The SCBWI is a network for writers, illustrators, editors, publishers, agents, librarians, educators, booksellers and others involved with literature for young people. The Regional Arts Development Fund (RADF) is an joint venture initiative between the Queensland Government and Sunshine Coast Council that supports local arts and culture in regional Queensland. Applications for RADF funds are open year-round and are aimed at the development of emerging and professional artists and creative arts workers.